It’s been over 2 years since the current version of ampproject.org launched, just before the very first AMP Conf in early 2017. Since then the AMP Project has grown a lot and launched entirely new applications of AMP on the web like emails and stories. Additionally AMP resources were scattered across multiple websites like ampbyexample.com and ampstart.com. So we decided to bring everything together into something new, better organized and easier to use. 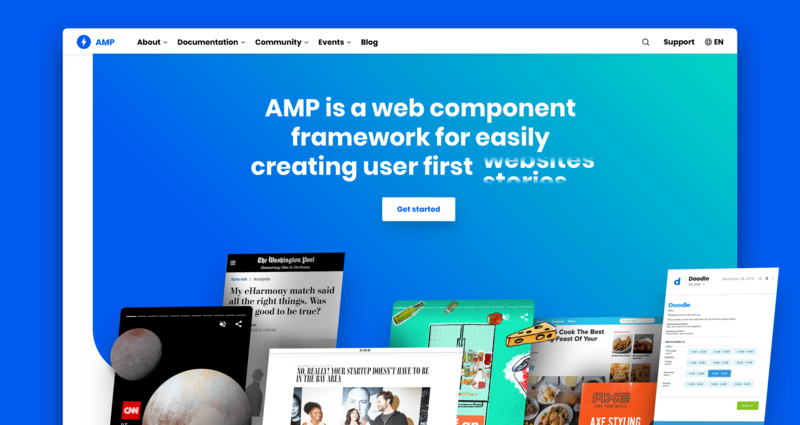 To bring all of AMP under a new home, we’re thrilled to announce amp.dev! The all new amp.dev will replace ampproject.org in order to provide developers (and their business counterparts) everything they need to know about AMP across all its various forms. And of course, it’s built entirely with AMP, using AMP optimizer to make the site load even faster when not served from a cache. On amp.dev you’ll find information for all the applications of AMP- sorted by color across websites, stories, ads and email. Overall the documentation section was designed to make navigation as straightforward as possible. Guides and tutorials are sectioned by stages in the AMP developer workflow. This will give you the resources and confidence to build successful AMP sites at each step in your process! All of the existing ampbyexample.com resources, as well as the templates on ampstart.com have been migrated and integrated into various sections of amp.dev. We also have new sections like Use Cases, where you can find a gallery of different possibilities of creating with AMP. While this section only as a few items at the moment, it will continue to grow in the coming months. For a brief time we’ll be leaving AMPproject.org up to allow for a smooth transition to the new site. However, in the near future we’ll be setting up redirects as we begin to turn down AMPproject.org. For now, we have banners on each site to indicate the upcoming change. The blog (what you’re reading now) has already moved to blog.amp.dev. 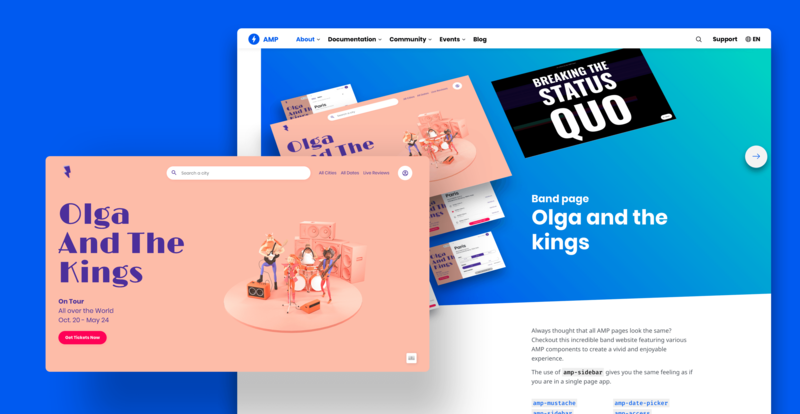 Finally, just as the AMP Project is a community effort, we invite you to share your feedback on the site so we can make it the best it can be. We’ve created a feedback form linked from the bottom banner of every page so we can ensure to get your thoughts and issues if something needs fixing. As with before, amp.dev is maintained on the docs repo of the AMP Project on Github, so everything is publicly viewable. You’re able to file Github issues there as well. A big thanks to our friends at Jung von Matt TECH who have been working on this for many months. We’re excited to continue to evolve amp.dev alongside the AMP Project and to show you bits of how we did it at AMP Conf in Tokyo next month. Leave a Comment on AMPproject.org moves to amp.dev!